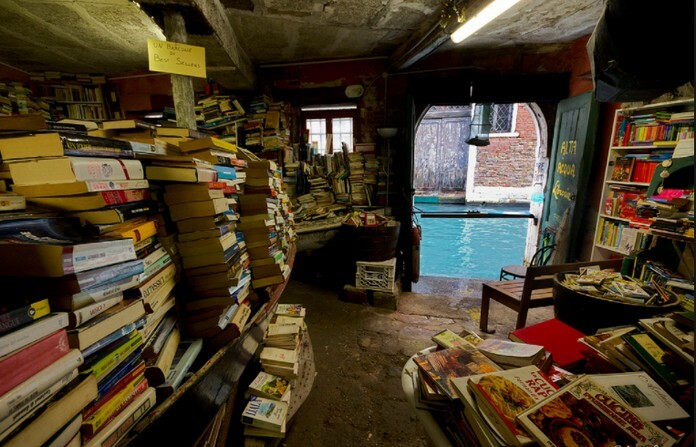 Veenice’s Libreria Acqua Alta is one of the world’s most unique bookstores that will make your inner bookworm come alive. The moment you walk in the door, you’ll notice the piles of books that are stacked to the ceiling. 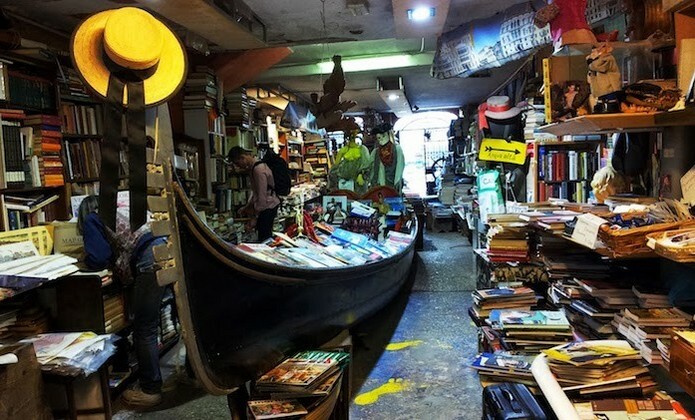 To house this abundance of novels, there are gondolas and canoes. In fact, the books themselves are actually used as furniture. You can even find a staircase composed of old encyclopedias, …which leads to a gorgeous view of the nearby canal. 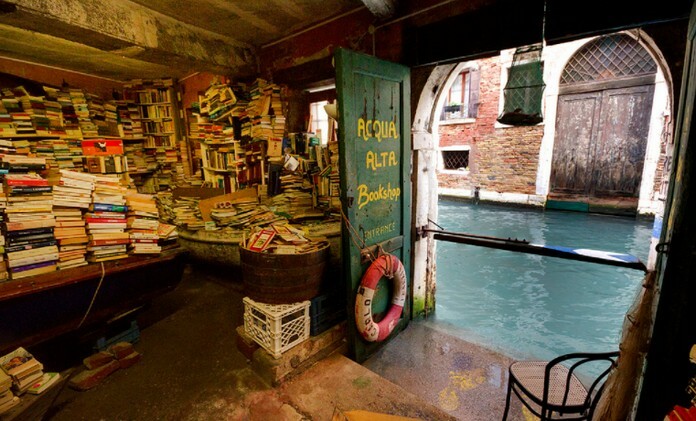 Libreria Aqua Alta it has become one of Venice’s most interesting wonders. Within its book-covered walls, you can wander for hours or snuggle with one of the four cats who are lucky enough to call this place home. 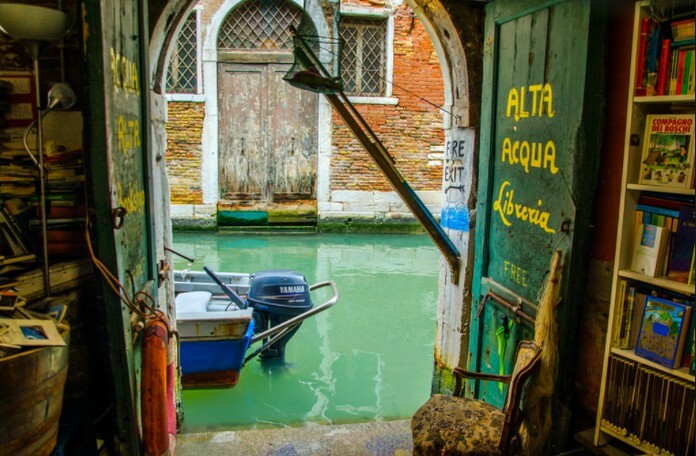 The bookshop is called Libreria Acqua Alta, which literally means “library of high water” … And if you know Venice, you also know that Acqua Alta happens every year and if this is the case, the bookshop is completely flooded. 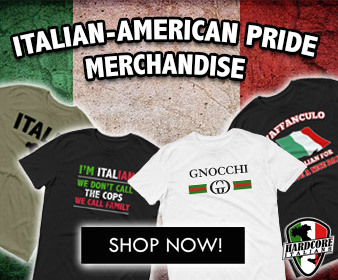 All books are safe because the gondola simply floats. A visit to this bookshop is almost compulsory, because it’s clearly one of the most interesting ones.